College Garth Kennels in Leicestershire have lots of lovely Staffies looking for new homes and they’re also looking for volunteers for dog walking. Redgate Sanctuary are appealing for a home for Bruce, if you’re interested please contact them via the info below or if you know someone else who may be interested pass on the link to this page. Thanks! Bruce is almost 9 years old, castrated, vaccinated and microchipped. He does not behave like an older dog, he has plenty of energy, loves his walks and enjoys playing ball. He is a very friendly and gentle boy who enjoys the company of people as well as meeting other dogs on walks. 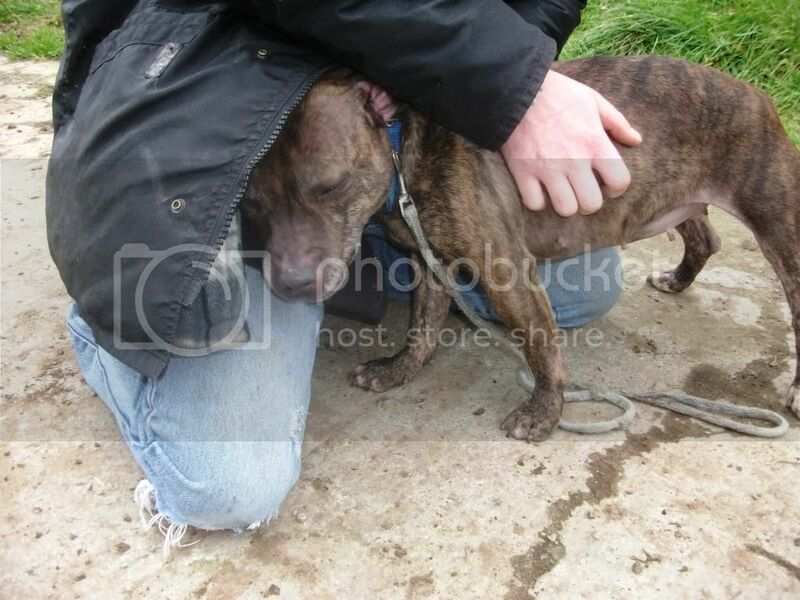 Above all he loves a cuddle and will be happiest in a home where he is not left on his own for long hours. We’ve received this request for help via email, we hope to get more information soon but if anyone might be able to help please do get in touch and we can pass on the contact details. 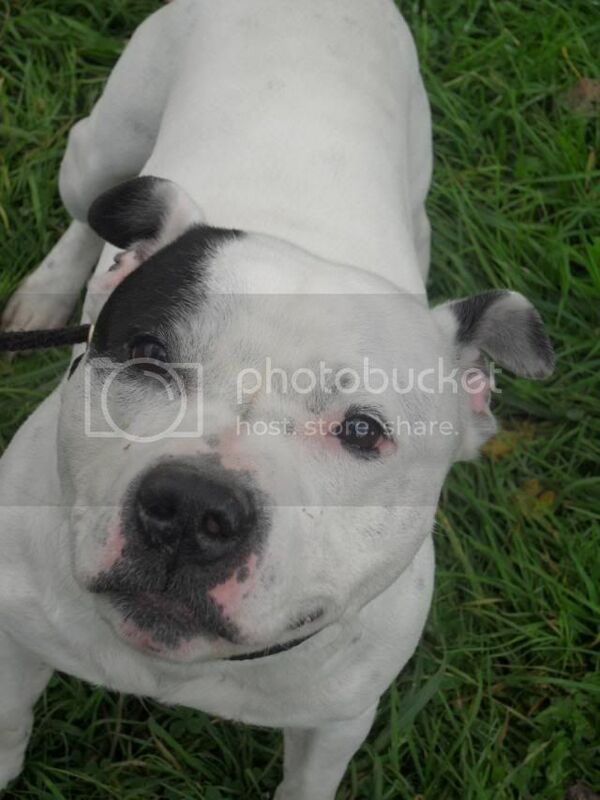 We are here from NZ to see mother-in-law(79) after operation, her 7 and half year old white staffie x is too much for her now, we are trying to find a home for him before we go back on the 26th July, we have phoned numerus places, all full,we can not go back and leave him with her, could you help, we are willing to transport him anywhere in the country and would be willing to make a donation if you could help us, thanks. We’ve recently sent a £150 donation to East Midlands Dog Rescue to help fund the care of 2 staffies they have taken in to their care for rehoming. Although EMDR are not normally a staffie focused rescue, usually working with Lurchers as you can see from the dogs needing homes page, the rescue is currently helping 2 staffies that are considered ‘hard to rehome’ due to their age/health issues, so we wanted to help fund their care. Why has Jarvis been in rescue for over a year? Well, his crime was….. to be born a Staffie…….Like hundreds of these over-bred little dogs, Jarvis is overlooked by people who are wary of taking them on. Jarvis is the most lovable, sweet natured old boy you could ever imagine with people – here comes the BUT….he doesn’t always like other dogs. Do you only want one pet? Yes! When you are out walking will you ‘respect’ other people’s pets and keep Jarvis on a lead? Yes! Take a Staffie home…Enjoy the benefits of this loving breed. Be RESPONSIBLE when out in public. Now …Give this boy a home …PLEASE! 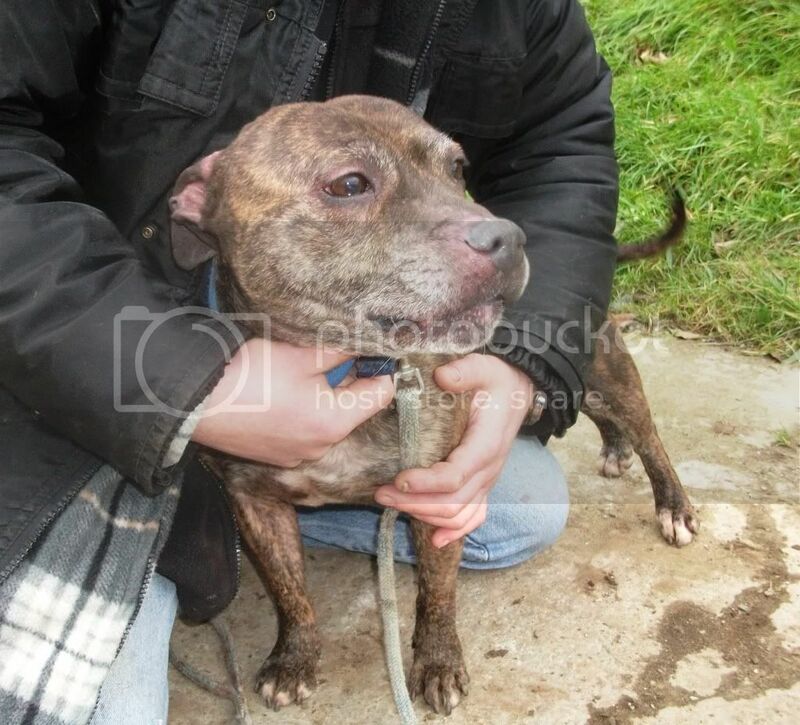 6 year old rescue Staffie Chelsea deserves a special home! 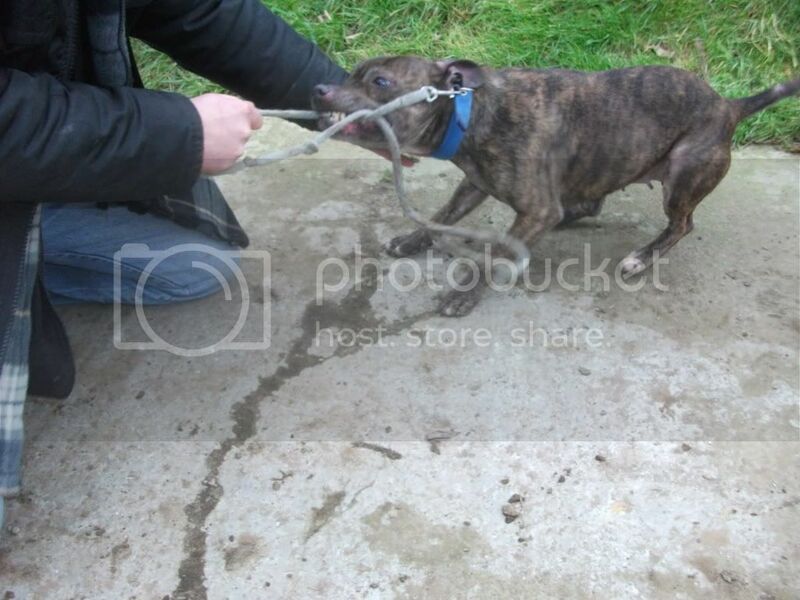 Chelsea is a brindle Staffie, approx. 6 years of age who’s looking for a new home after being picked up as a stray. 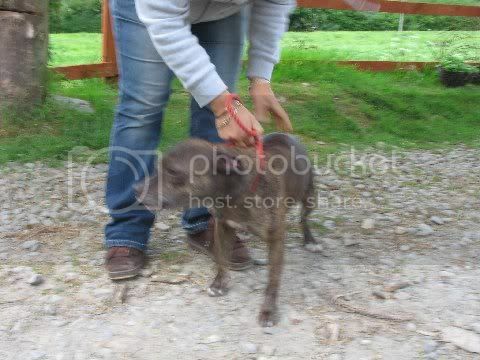 She came in to rescue care last May and is currently being cared for in kennels in West Wales. She’s been waiting for her new home for quite a while already and she needs a special someone with the experience and patience to help her calm down and learn some basic training after being neglected and abandoned in her past. Chelsea is around 6 years old and seems to be in good physical health. She is full of energy almost to the point of being hyperactive (she doesn’t “do” standing still long enough for a decent picture!) therefore will need a home with an experienced handler who has the time and patience to help her calm down, overcome her anxiety and introduce her to a world that consists of more than just 4 walls. 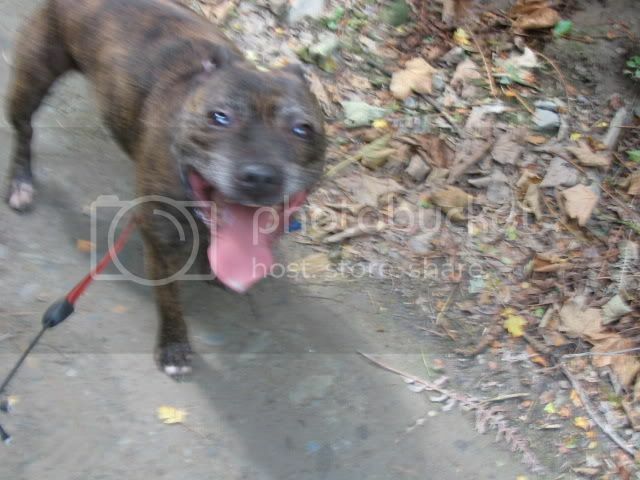 Chelsea will have to be homed as an only dog as she does not get along with other dogs or cats. She is very loving to humans and likes a lap to sit on. Basic training will be needed as she does not have much idea how to behave in social situations yet. We are yet to her assess her with children but will be posting updates when her assessment is complete and of course any progress she makes whilst in our care. We finally have some more pictures of Chelsea – not from want of trying but from her insisting on snogging the photographer and refusing to stand still! This little dog is a totally blank canvas who could be helped to become the perfect lapdog (well, that is what she likes best!) by the right home – and if we were offered a foster home to help her on her way we would jump at the chance. Poor old Chelsea – no interest at all. She may be able to live with another dog as she has improved so much in her attitude…. obviously careful introductions and a few meetings would be needed first! Someone did come to meet me and we fell in love, he was going to take me home at the end of his holiday and we went out for walks a lot. I was not scared when he took me out. I have not seen him for a long time, he changed his mind. PLEASE SPREAD THE WORD BY CROSSPOSTING THIS ARTICLE AND USING THE SHARING LINKS ON THE LEFT OF THIS PAGE. Thanks! Lovely oldie Staffie girl, Madge, is looking for her new forever family – can you help? Update: January 2012 – Made has found her forever home! Woohoo! Have a great life Madge! 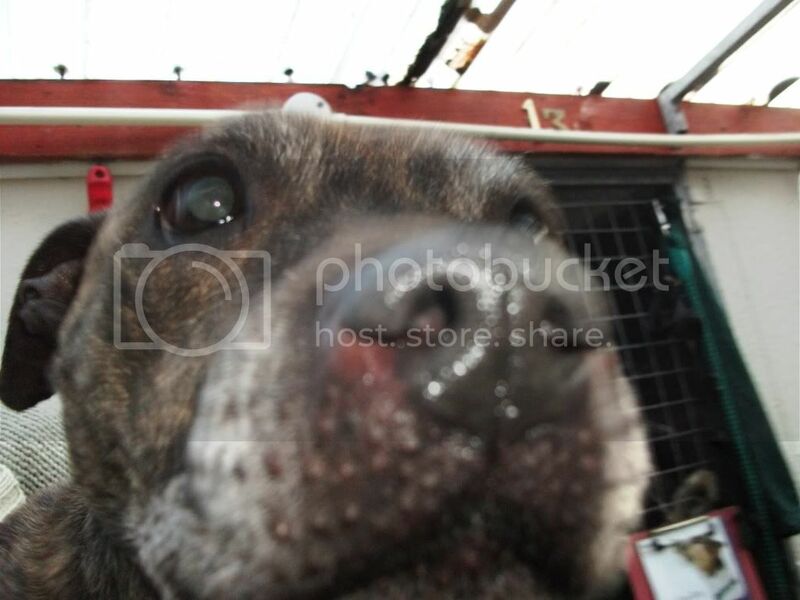 Madge is an 9+ year old Staffordshire Bull Terrier who ended up in the pound after being found as a stray. This lovely old girl has been in the care of Solo Sanctuary animal rescue for months now, bless her. Can you help her to find a new home or a foster place? She’s a real people dog and loves to get attention and a good fussing! She’s house trained and travels well in the car. She would be happiest living as the only dog in the house (although is fine walking with, past and sitting with other dogs) and she’s not keen on cats. Madge is currently based in Nottingham but can be rehomed anywhere in the UK subject to a successful homecheck and the new family’s willingness to come and meet her first. Watch her video below and we’re sure you’ll fall in love with her just as we have! You can also help Madge to find her new forever family by crossposting her info on your website, facebook, twitter, myspace etc. (there’s a button on the left which you can use to share this page), or print out her poster (contact Solo Sanctuary for more info on the poster) and stick it up in your area. Please do what you can! Madge is an old lady and she deserves to be in a comfy loving home instead of kennels! Thank you.